Last weekend, I stumbled down the stairs of 217 Park Street into the isolated lobby of the Yale Cabaret (Cab, for short). It was 10 p.m., and I had arrived promptly for my dinner reservation preceding the 11 p.m. showing of TBD: A Festival of Rough Drafts. The lobby’s bright block-colored walls were splattered with signatures, inside jokes, and doodles — a mosaic of theatrical process. I stared at a clumsy silhouette of a body outlined in black paint on the west wall of the lobby. It was labeled “Disco Nap.” A Yale School of Drama (YSD) student appeared holding a clipboard, explaining the drawing’s backstory, “Someone was setting up a disco ball show and got tired, so someone else marked his place of rest.” She led me into the Cab’s empty stage space and seated me at large round table at the front. A Festival of Rough Drafts — a debut for the Cab — featured short pieces still in the process of becoming fully fledged works. Each piece featured a YSD student working outside of their traditional discipline: playwrights as lighting designers, scenic designers as actors, actors as playwrights. Benjamin Benne, DRA ’21, and Sunny Jisun Kim’s, DRA ’21, opened the night with a textural exploration of shadow puppets, ending their piece clad in cartoonish masks lit up by LEDs. The performances closed with Mika Eubanks, DRA ’19, and April Hickman, DRA ’20, detailing nightmarish dating stories and unpacking “The Weaknesses of Men.” But these pieces only make up the bread of an eclectic sandwich. Between these were an animated staged reading, a digital avatar of Liu Xiaobo reciting narratives of the 1989 Tiananmen Square protests, and a tap dancing man in a tuxedo whistling “Memory” from Cats. In some ways, TBD feels representative of what the Cab is all about: cultivating a meaningful playspace where YSD students can work across their disciplines to make theater, in whatever form they choose. All the regular shows in the season are decided through a proposal process. The season is determined on a rolling basis and curated in chunks, with various cycles of calls for proposals. Students first propose their pieces in written form, and then interview with the artistic leadership. There are various formal constraints for shows. They must be able to stage their piece with 75 chairs for audience members; 42 of which have to be at tables for diners; the show must run for fewer than 70 minutes; each show gets a budget of $350. In a Cabaret proposal to lead the 1994–1995 season, YSD students described the Cabaret as “an aesthetic laboratory of creative adventure… a place which nourishes and is nourished by the larger Drama School community.” They continue, “The Cabaret should offer members of the Drama School community the opportunity — and the encouragement — to be aesthetically daring. And aesthetically exquisite.” The Cab’s history however, demonstrates how Drama School students often had to fight their institution to have this opportunity. The Yale Cabaret opened its doors in 1968, the day after Richard Nixon was first elected President of the United States. The Cab was founded and remained under the jurisdiction of the then-Dean of the Drama School, Robert Brustein. The Cab’s first ever production was A Kurt Weill Cabaret, performed by Martha Schlamme and Alvin Epstein. 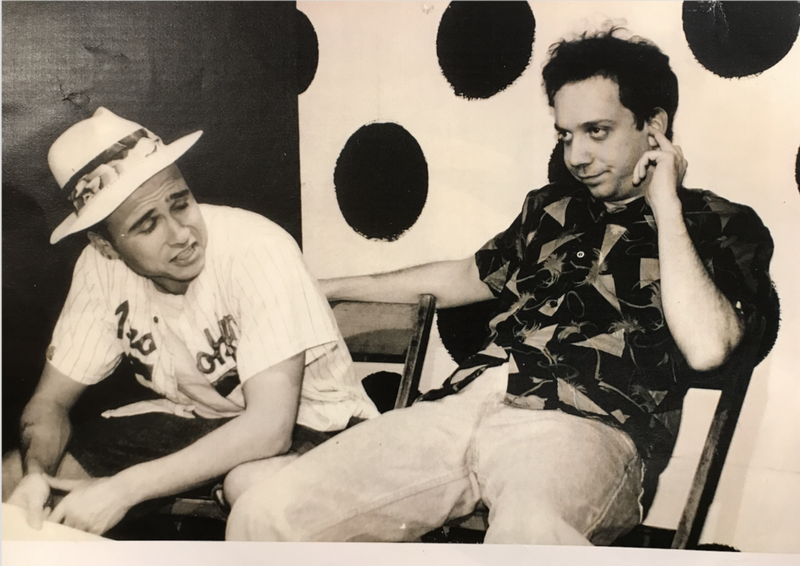 Neither Schlamme, a professional actor Brustein brought in from New York City, nor Epstein, a member of the Yale Repertory Company, were Yale School of Drama students. In fact, none of those who programmed, directed, or performed in this show were students. (Regardless, it was a success: Schlamme and Epstein continued to perform the show on Broadway in New York in the late ’70s.) Although the Cab was, from its inception, intended to function as an experimental space extending from the Drama School, the early days of the Cab paint a different picture. The Drama School, in the late 1960s, was in dire need of more space. By 1968, all classes, offices, and theater spaces had been confined to the University Theatre — a space also shared by the professional Yale Repertory Company and the Yale Dramatic Association. When the Phi Gamma Delta fraternity dissolved due to financial problems and lack of membership, Brustein won a University-wide bid to assume the space. The space’s basement was transformed from a fraternity dining hall into the Yale Cabaret — which, from its inception, was especially interested in the possibilities offered by a dine-in theater. For its first five years, however, the Cab was mainly a space controlled by Brustein to stage professional productions. Other than featuring professional performers from in and around New York City, the Yale Cab also became a second performance space for the Yale Repertory Company. The Rep Company, although not made of Drama School students, shared resources and spaces with YSD. As Amauta Marston-Firmino, DRA ’19, a Dramaturgy student and a historian of the Yale Cab, explains, “the Yale Cabaret was just another venue for Yale Repertory Theater… it was basically just a revenue model for [it].” In the early 1970s, the Drama School acquired the vacant Baptist Church on the corner of York and Chapel, which was transformed into what is now known as the Yale Repertory Theatre. By the 1970s, Brustein had three spaces: the University Theatre, the Yale Repertory Theatre, and the Yale Cab. His Repertory Company had access to all three; Yale Drama students were more or less constrained to the University Theatre. In the late ’60s and early ’70s, the question of the Yale Cab was caught in a web of tensions unfolding between students and administrators in the Drama School over the professional Rep Company. Many YSD students were aggravated by Brustein’s concentration on the professional company, which seemed to supercede his interest in teaching. The lack of opportunity for students in the Drama School grew into a kind of dissent. One of their central demands became autonomy over their work — the ability to make theater outside of the faculty’s approval power. And their eyes were on the Cab. What emerged was a kind of explosion of new and experimental work. 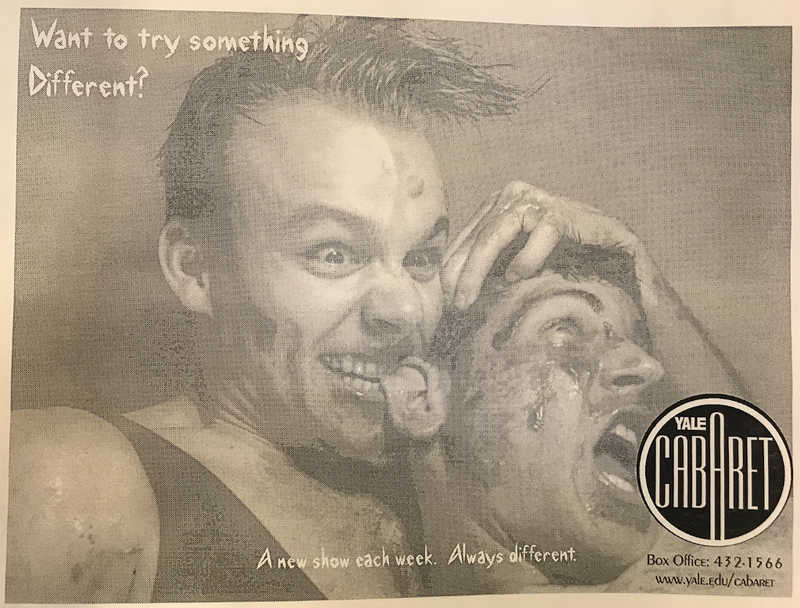 Throughout the ’80s and ’90s, students put up shows over four days a week. They produced musical shows, improv and sketch comedy, traditional cabarets, new plays, old plays, dance, performance art and more. 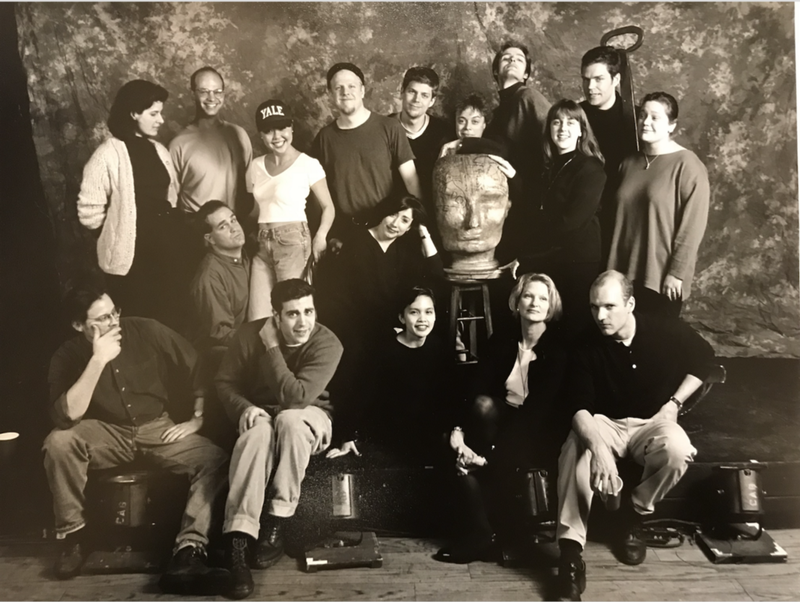 Finally, in the late ’90s, the Yale Cab was formalized, and rules were introduced, codifying performance nights, show times, and audience capacities. Since YSD students began using the Cab space, it has served as an artistic center for both Yale and New Haven communities. Often surprising, radical, conceptual, and moving, the Cab remains an intimate place for coming together for dinner and a show. This past summer, the Summer Cabaret — a separate institution from the Yale Cabaret, with a separate board and structure — closed for a season because of an “internal conflict around issues of equity, diversity, and inclusion,” explained Marston-Firmino in an email. After the controversy, they’re restructuring their Board of Directors and the process by which they choose the Summer Cabaret’s student leadership. This event falls under a larger conversation regarding theater’s contested history as an exclusive artform. It is worth noting that YSD and the Rep are making significant strides. The next season of the Rep is particularly exciting in terms of racial representation, featuring Good Faith, which concentrates on cases of racial discrimination in the New Haven Fire Department, an afro-futurist Twelfth Night, and Cadillac Crew, which tells the story of four Civil Rights activists. Recently, the Rep also announced the 2018–2019 No Boundaries Performance Series featuring WET: A DACAmented Journey by Alex Alpharaoh and What Remains by Claudia Rankine. “As a school we’re grappling with all these sorts of issues,” Prof. Suttor comments. “And students are very much trying to work this through. And it’s painful… we’re getting used to feeling uncomfortable. So I think these are big changes. In some sense they are political, but it’s not just about party politics, it’s about the body politic.” In theater, there is political significance in whose bodies are represented on stage, and who is writing, directing, and designing the telling of their stories. Everyone interviewed for this piece can point to at least one favorite memory at the Yale Cabaret. The Cab, which cares about the value of making more than the critical merit of what’s made, has a propensity for igniting memories accompanied by smiles or laughs. To offer one of my own: a few weeks ago, I attended the Untitled Kesha Project at the Cab, a musical production featuring many Kesha songs sprinkled with YSD inside jokes that I can’t claim to have understood. Before the performance began I was asked whether or not I would like to include my name in a bowl and possibly be picked to participate in the show. After agreeing, I sat nervously for the first 40 minutes of the show until, low and behold, “Nurit Chinn” was announced to approach the stage for a competitive dance. Not knowing anyone there was liberating but, I lament to say, I was still voted out first (BUT not after initially tying with another dancer, who I went head-to-head with for a small second round before I was publicly determined the worst of the two. I get it.) No hard feelings, though. Really. A State of Play was originally published in The Yale Herald on Medium, where people are continuing the conversation by highlighting and responding to this story.